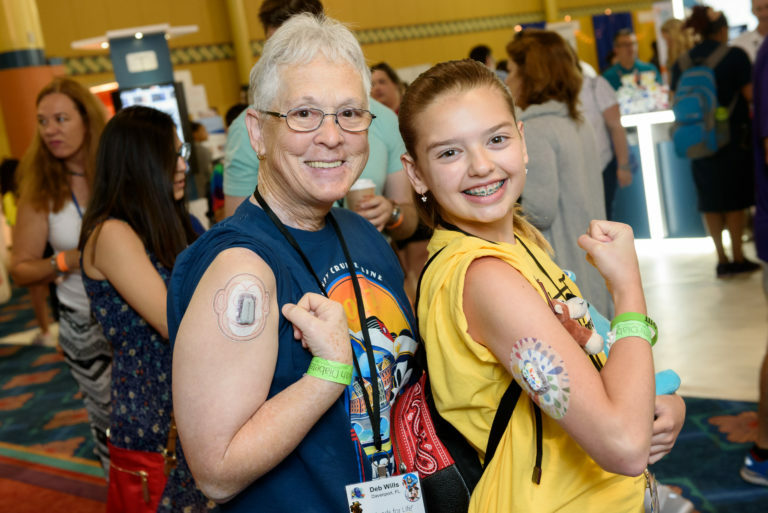 CWD is not just for "Children"
Are you an adult with type 1 diabetes, wondering if "Children with Diabetes" is the right place for you? Don't let our name fool you; Children with Diabetes is for adults, too. Children with Diabetes started as an organization to support families with children who have type 1 diabetes, but things have changed since we came online in 1995. Kids with diabetes grow up to become adults with diabetes, and our organization has grown and changed to support people with diabetes at every age. 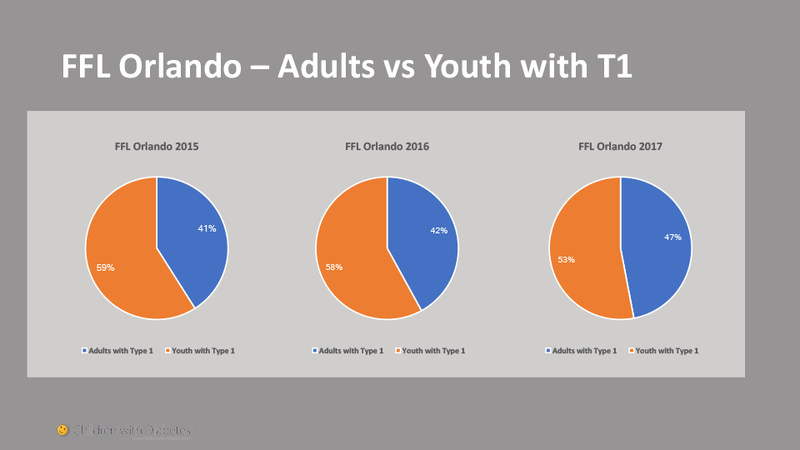 At our Friends for Life Orlando conference in 2011, we introduced an Adults with Type 1 Diabetes track, providing content geared towards grown ups living with diabetes. Presentations and discussion groups anchored in topics like parenting with T1D, advocacy, social media and diabetes, talking about complications, and mental health provide outlets and support for adults with diabetes. 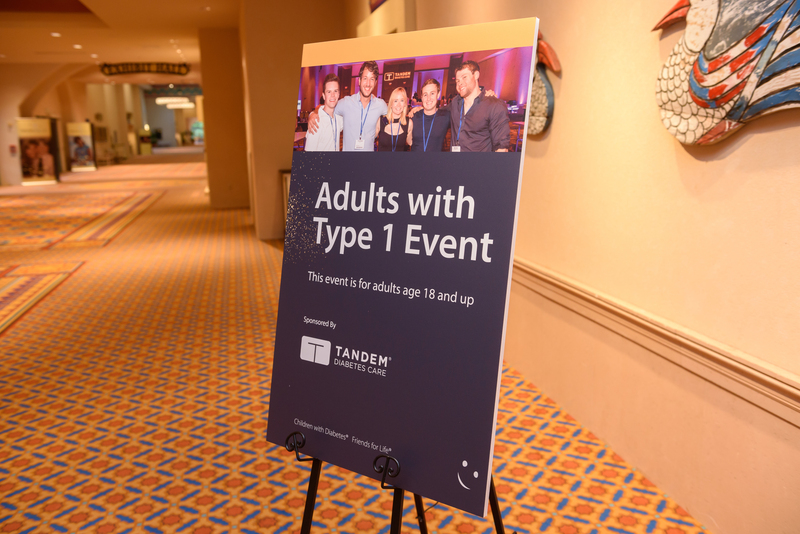 Our faculty for this track are experts in "adulting with T1D" and back up their presentations with scientific evidence, additional resources, and plenty of camaraderie. 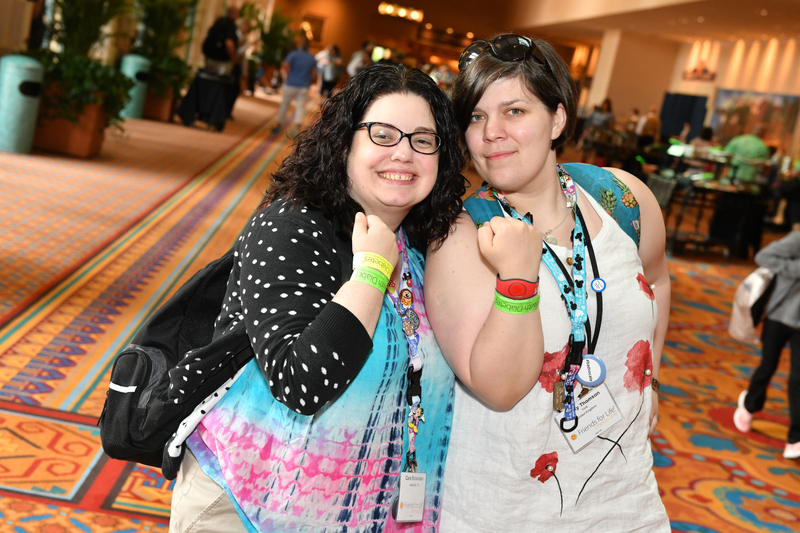 There are evening events specifically for adults with type 1 diabetes, too, so you can connect and socialize with your peers. Our conference attendees reflect these necessary changes - take a look at how our adults (18+) with diabetes have grown in number! Your stories matter, and we want to hear from adults who are living with diabetes. Click on the box below to connect with our editorial team. "It is just like going home." "I felt loved, supported, and understood." "The only time I felt 'just like everybody else' because everybody else was (or knew someone who was) beeping from weird places, was comfortable talking about being high in public, had an extra juice pack/glucose tabs to share when you couldn't string two coherent words together. That's the only time I felt I was with 'my' people even though I didn't know a single soul when I arrived." "It’s like going to a family reunion but you don’t feel for one minute that you are surrounded by complete strangers. I went to FFL in 2015 and I was nervous because I didn’t know a single person before I arrived. 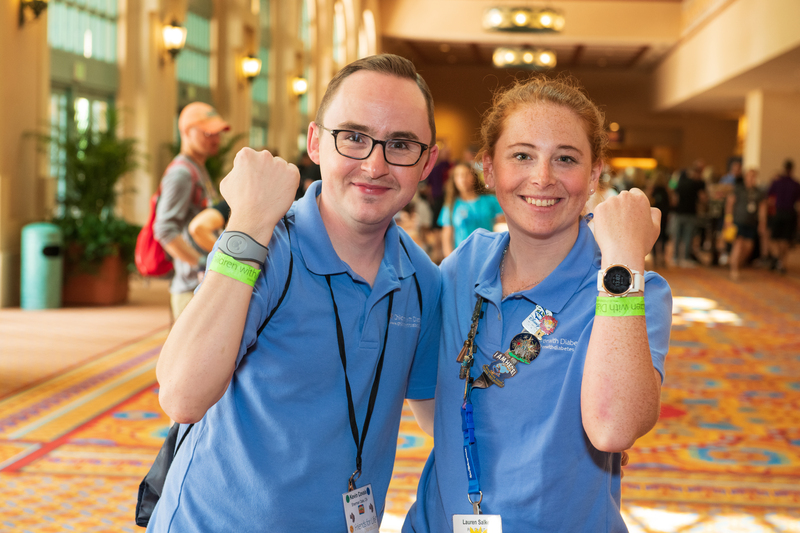 When you walk into that banquet hall, you are overwhelmed by the huge number of people there but then you see the wristbands and you realize that this feels like home. You have to live it to feel it." 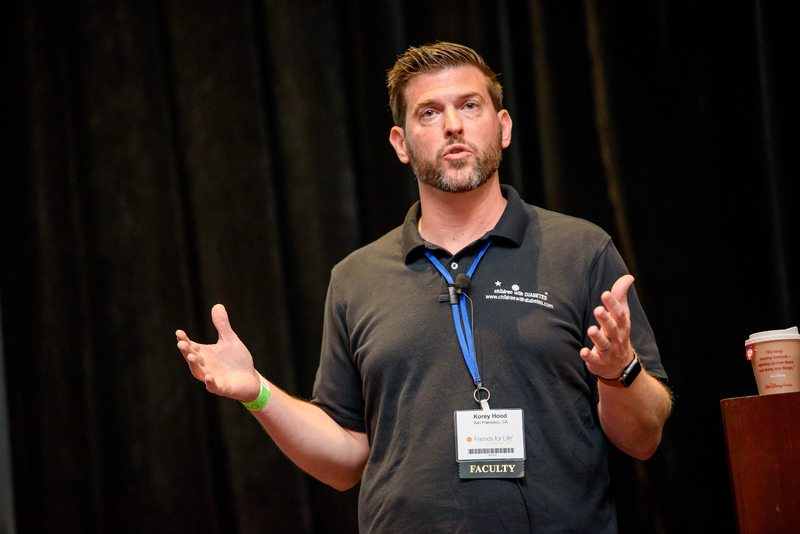 "Having never attended camps or conferences when I was growing up, I thought I'd feel out of place at FFL. I couldn't have been more wrong. From the moment I walked through the doors I was met with open arms and hearts. I left feeling like I had gotten to experience the same fun and joy that the kids experienced. I know that I forever want to be a part of future FFL events."